The process of incorporating a limited company with LCCS is easy and won’t take you more than a few minutes to initiate. Follow our simple instructions below and have your company incorporated in no time. Fill in our online questionnaire and proceed to payment. We will check your data and issue the full set of required documents which we will then send to you by e-mail with signing instructions within a few hours. 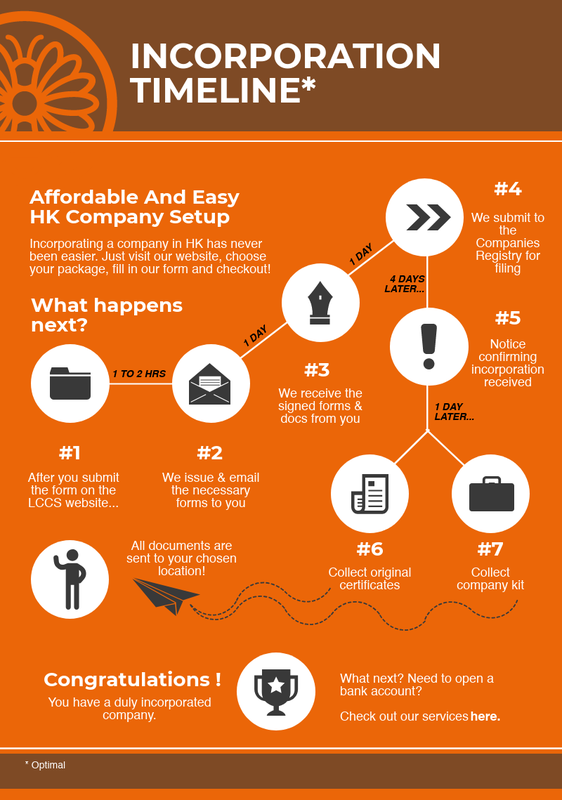 Sign and return the documents which we will register in the HK Companies Registry as soon as we receive them. Your company will be duly incorporated 4 working days later and we will send you the company kit and all related official documents (timeline).